Teardrop Tuxe 11.1" x 12.24" Backsplash and Wall Tile is retro inspired and modern-day fresh. 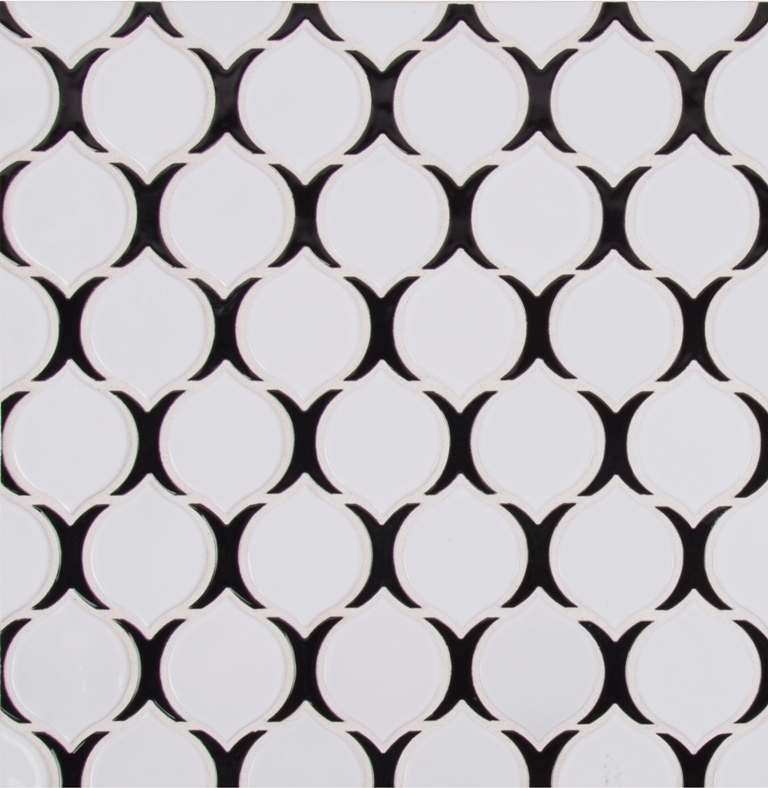 With its eye-catching teardrop shape, stark-white color, and gorgeous glossy finish, this mosaic tile gives any space an instant update. Use it as wall tile, backsplash tile, shower tile, or on vanity walls or anywhere a punch of on-trend pattern is desired. In the kitchen, bath, or other space—residential to light commercial—these tiles work overtime to give your project a personality all its own. Tiles are mounted on mesh-backed sheets for simplified installation and a professional finish.